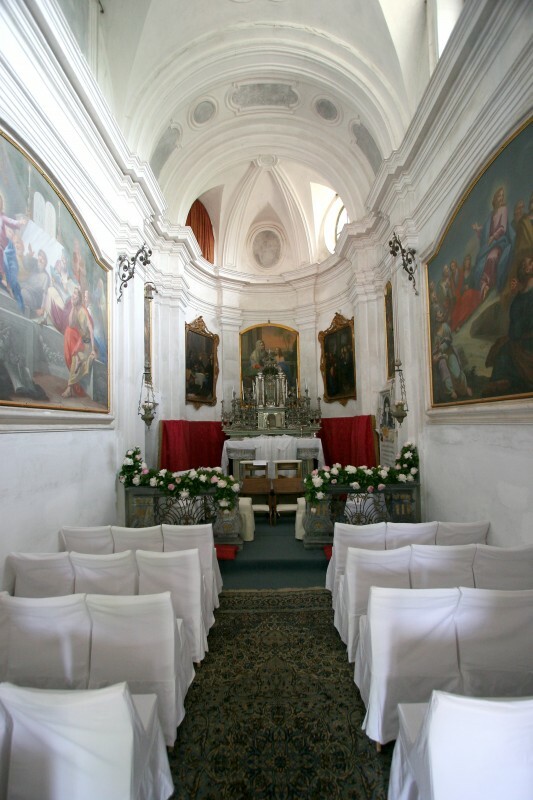 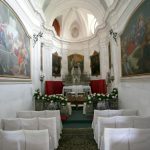 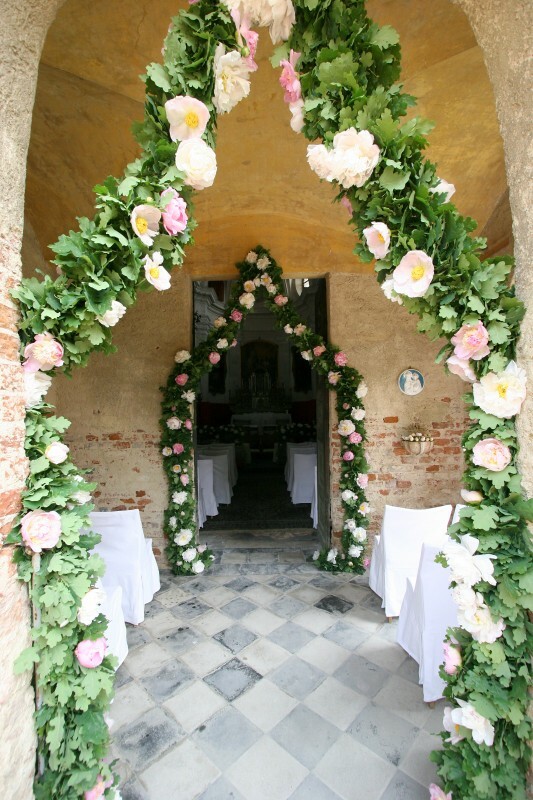 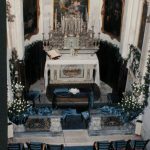 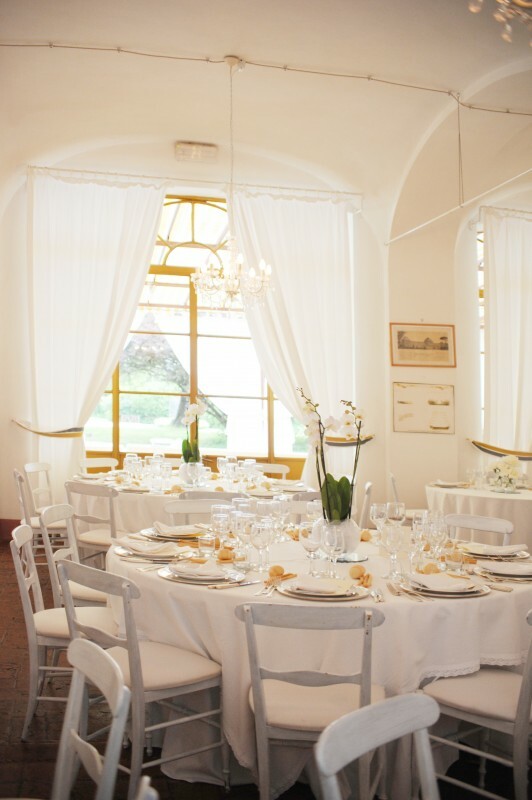 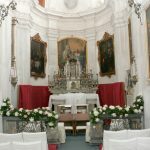 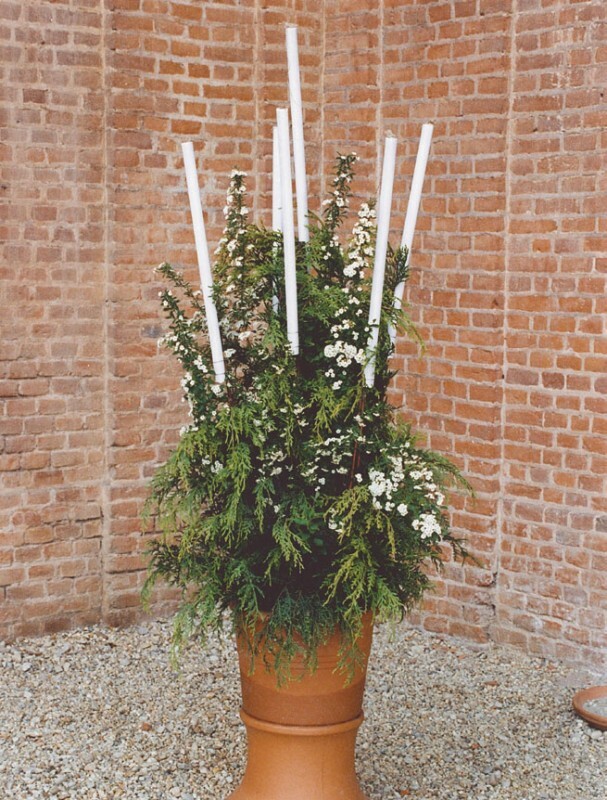 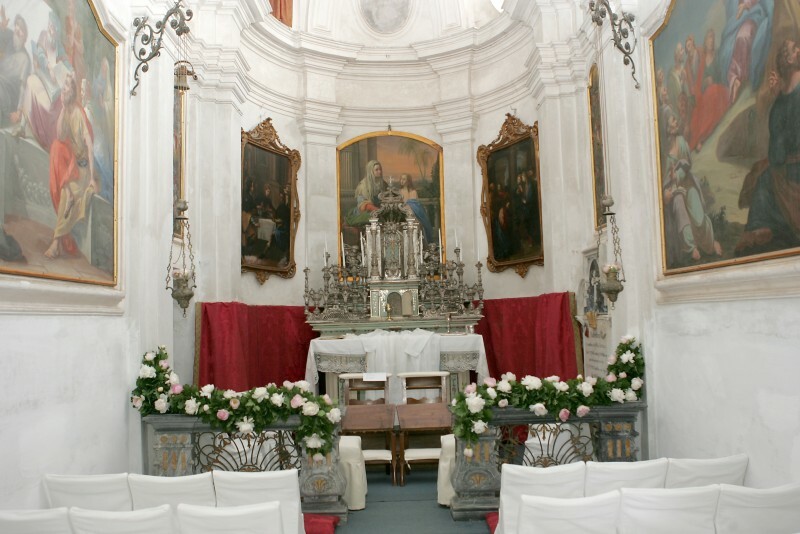 It is possible celebrate even marriage in the wonderful frame in the Pralormo castle. 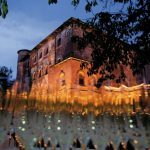 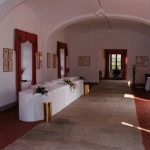 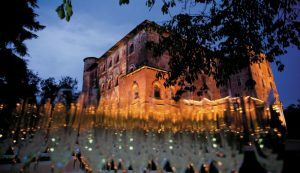 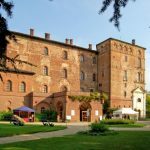 The celebration of the wedding ceremony in a frame of great artistic and historical value as the Pralormo castle, will give prestige to the ceremony and will allow to bridegroom and guests to spend a whole day in an unforgettable place. 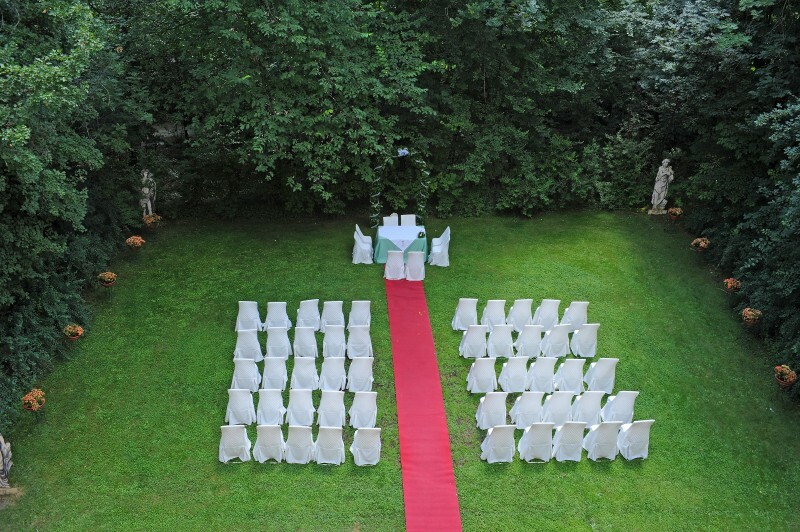 The location for the marriage will be the lawn of the statues and the courtyard of the castle. 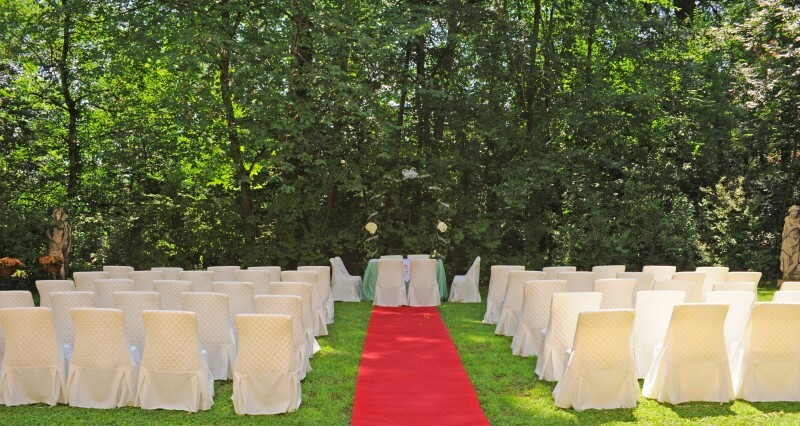 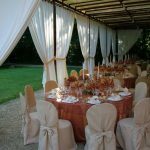 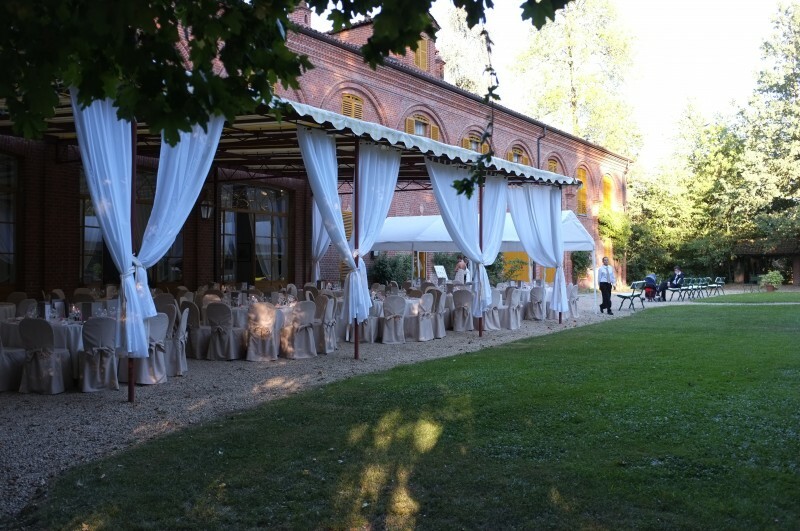 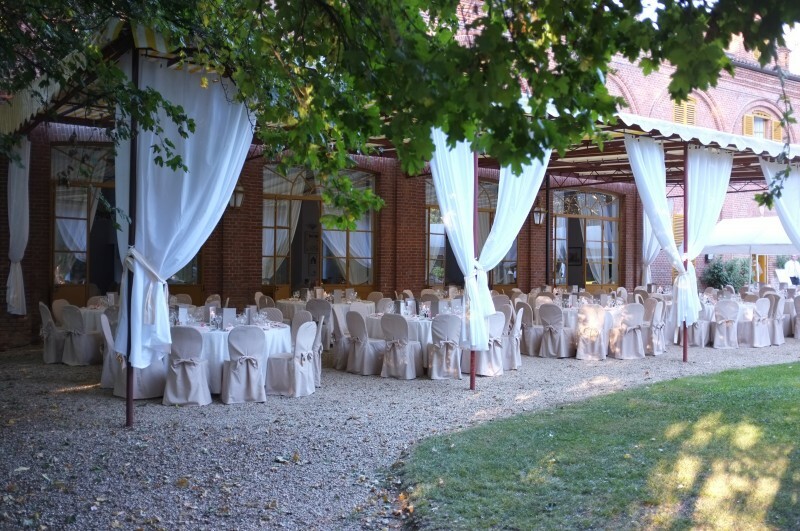 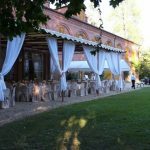 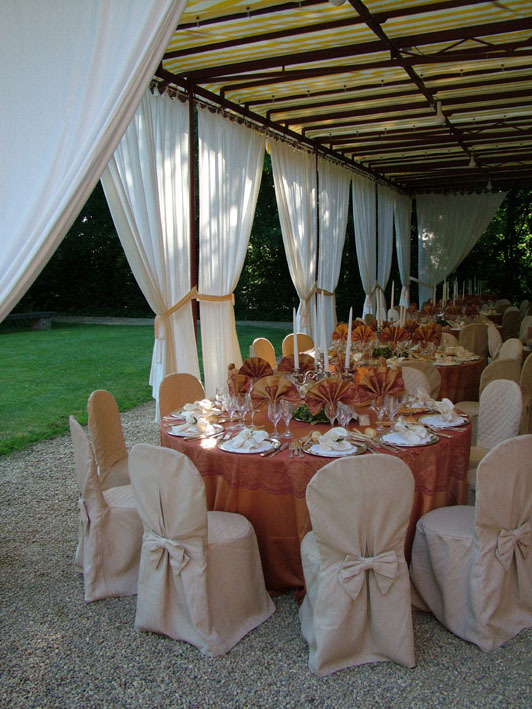 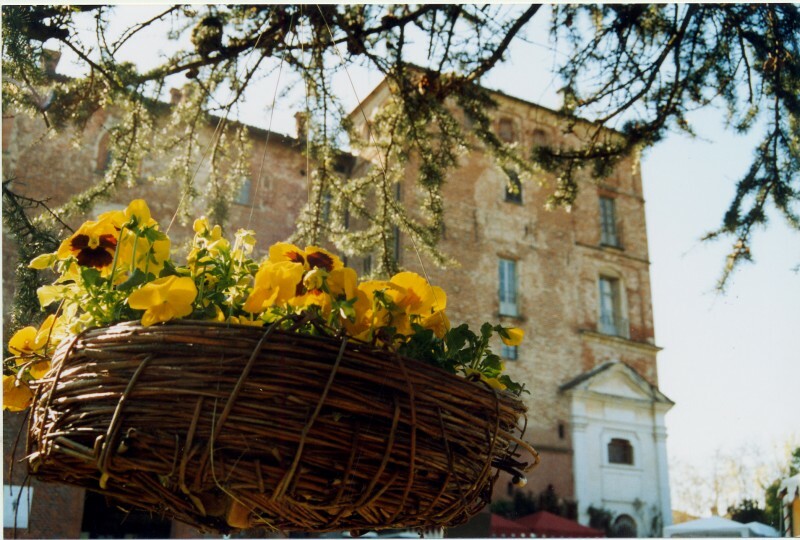 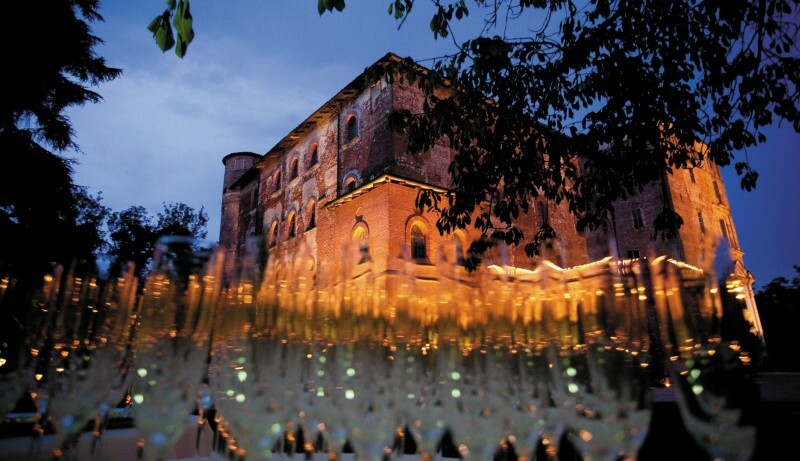 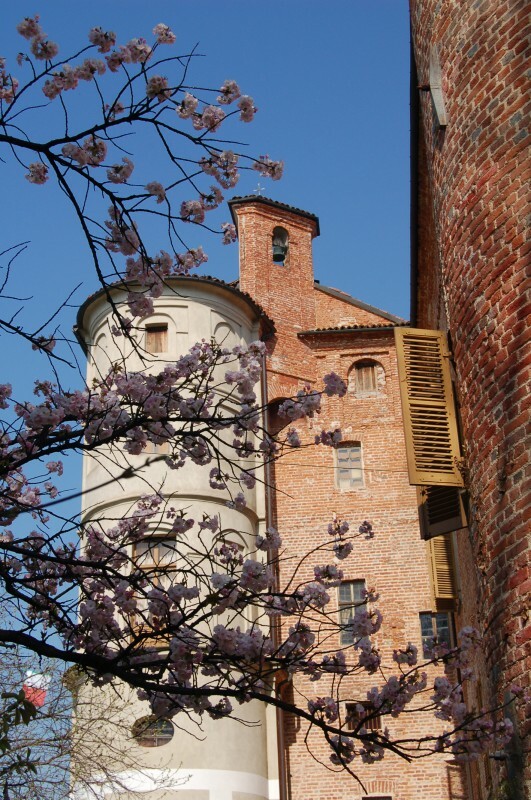 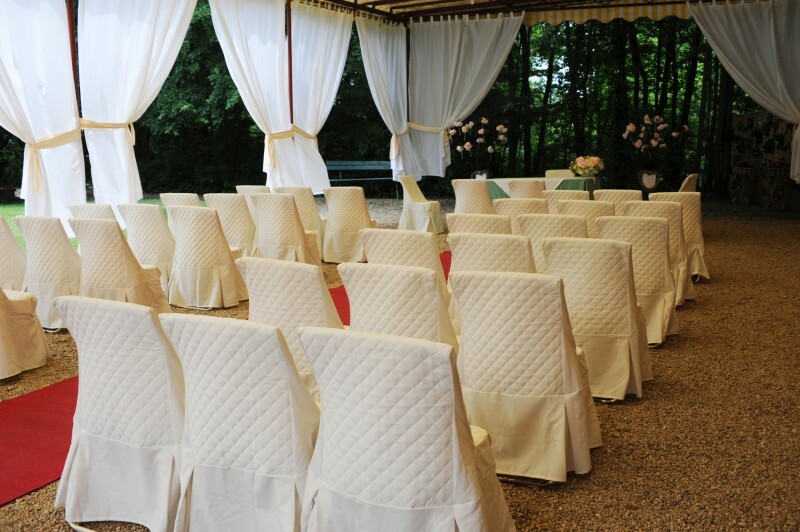 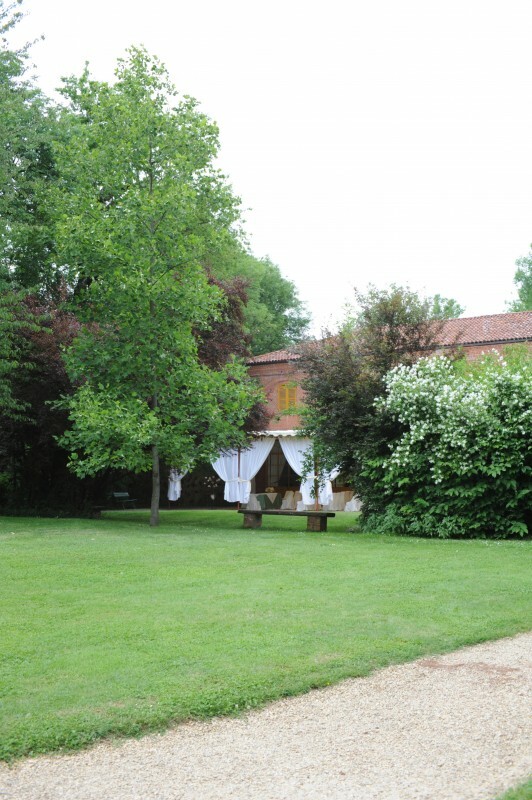 In the park of the castle there are charming places to gathered party, wedding and conferences. 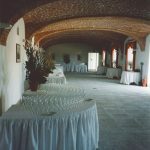 The party in the Pralormo castle taken places in The Orangerie, in an ancient French green house ,and in the rural building La Castellana , and the farmhouse with a big stables : the renovation, happened since the beginning of 1985 in the respect of the original architecture, has valorized hold material. 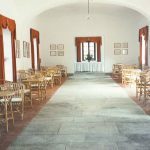 It stands out in a particular way the preservation of the cooked stone floor, cleaned and waxed. 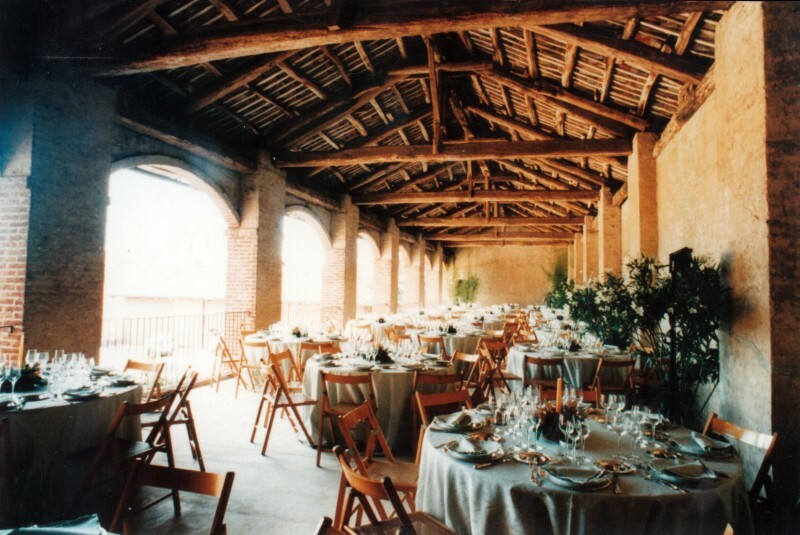 The antique brick gives a warm touch to the ambient, and it is a very sturdy material. 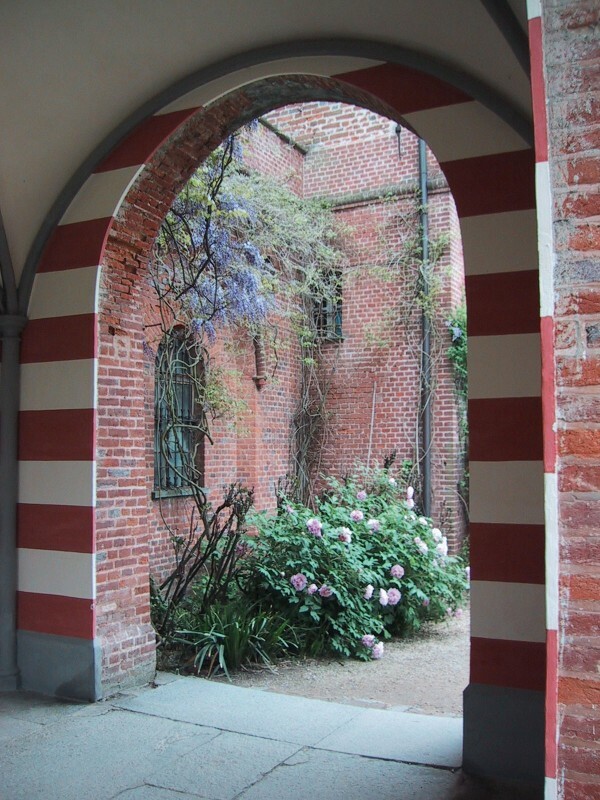 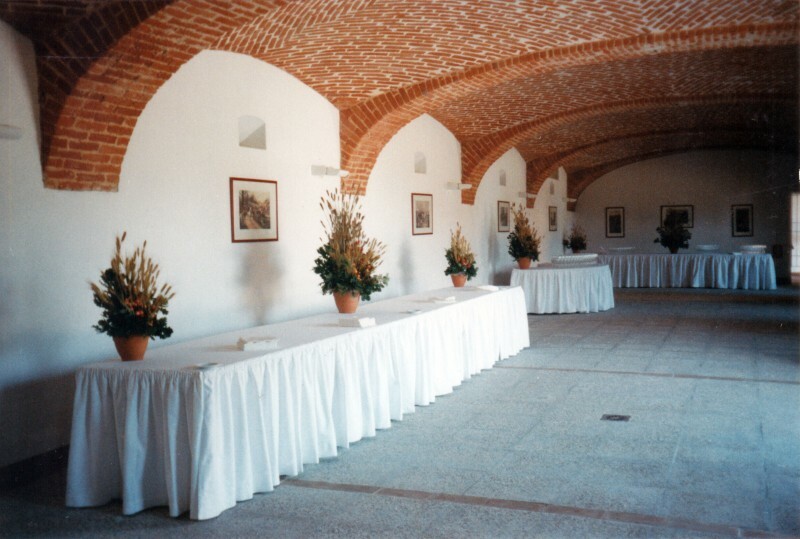 The walls preserves the irregular plasters of the agricultural building, painted with lime and adorned by 18 century reproduction of the projects for the garden. 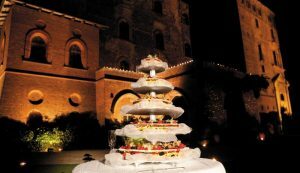 The view of the castle is a prestigious frame of the event and the great English romantic park is available for the bridegroom’s photo shoot. The castle is endowed with a parking lot in front of the main entrance and the renewed kitchens and completely functional. 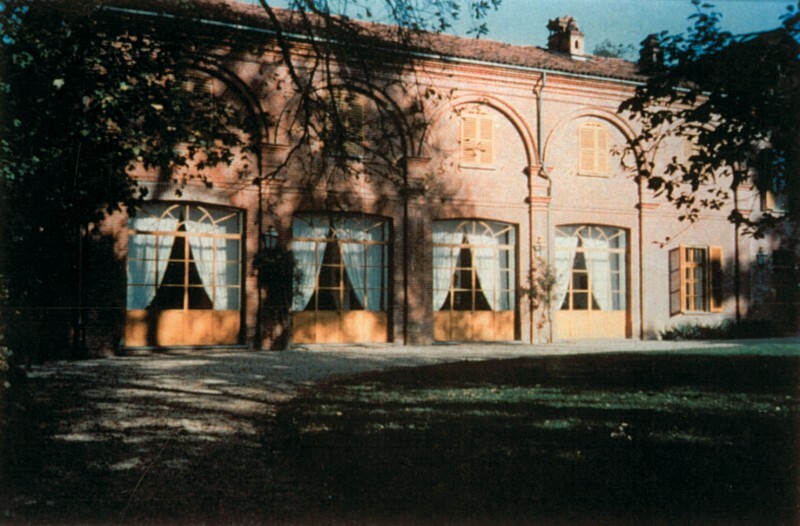 The Orangerie, an ancient greenhouse for citrus fruits leaned out on the park with bright glass door with a great curtain used during the summer ,a pleasant environment with an ancient floor in cooked stone. 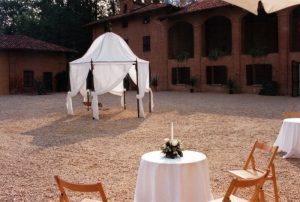 Unique saloon for 130 people seated with two parlors, heating and a great curtain for zone appetizer in case of rain . 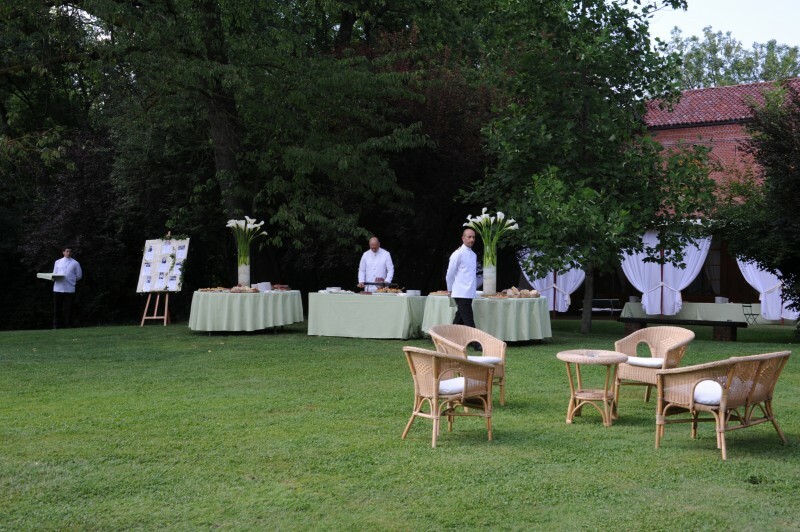 Normally the appetizer are prepared in the garden in front of the castle . 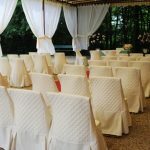 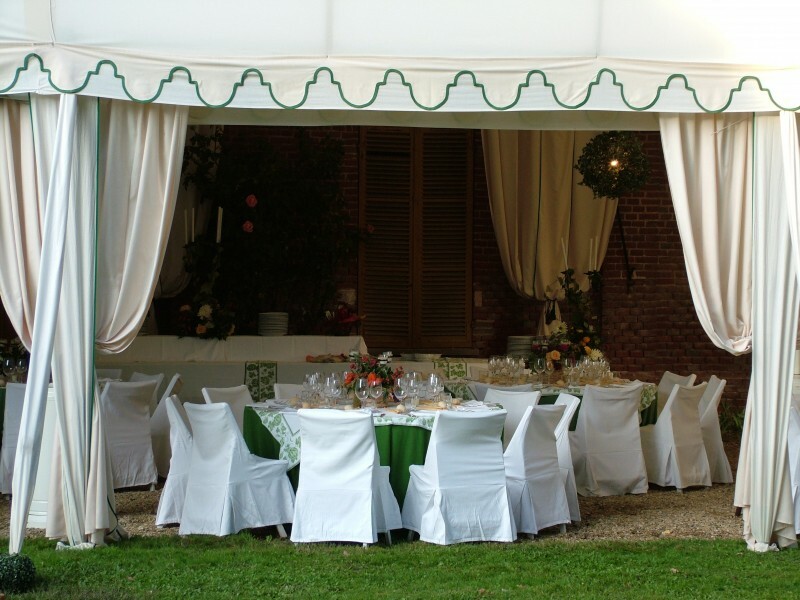 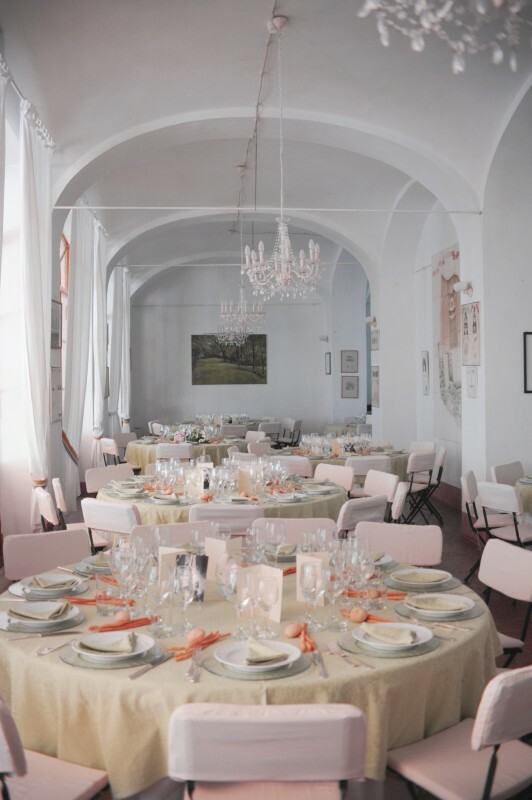 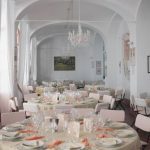 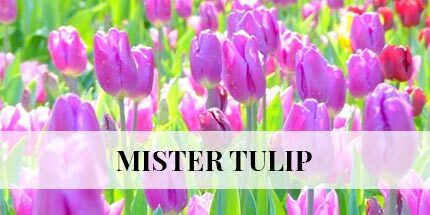 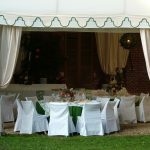 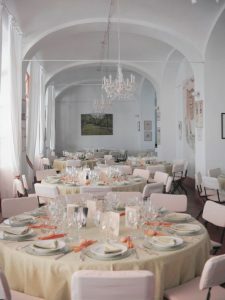 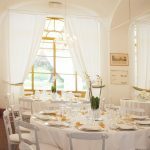 In case of good weather the guests are made to arrange to the small table of 10 people each inside of the Orangerie and a big curtain opening completely with the 4 glass front door creating one big space that can contain 250 people. 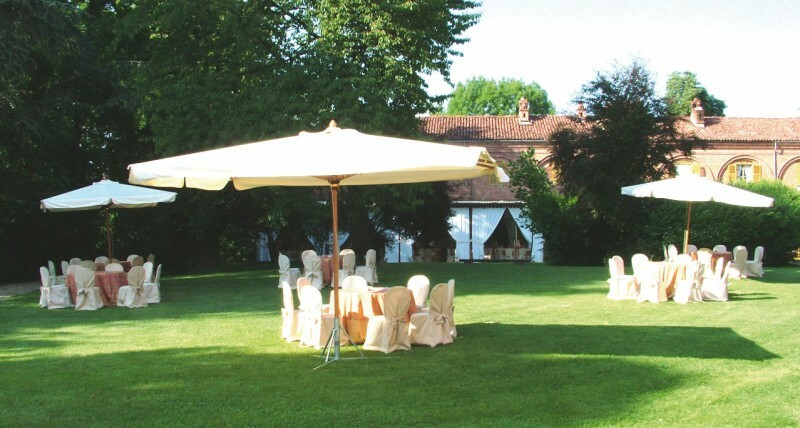 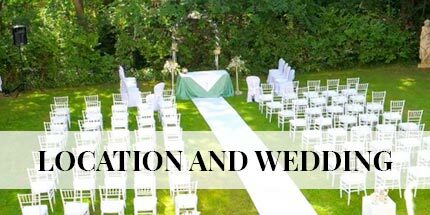 In alternative if the bridegrooms desire, the tables all can be positioned on the lawn. 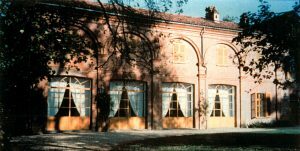 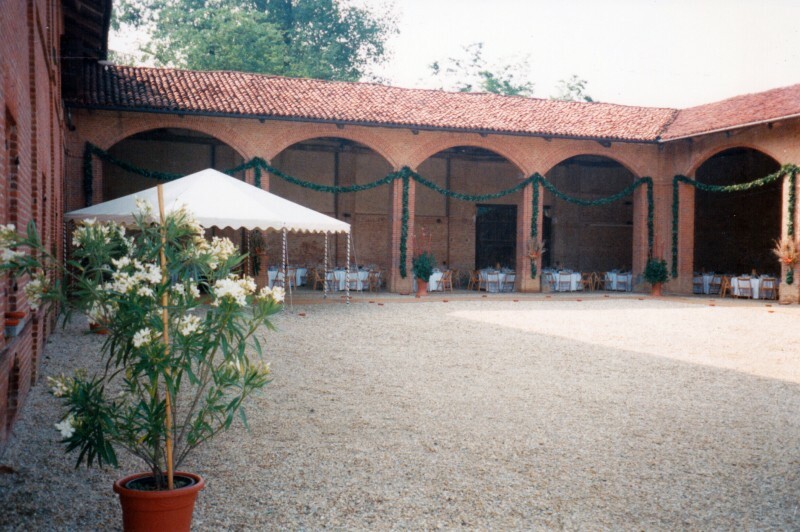 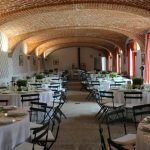 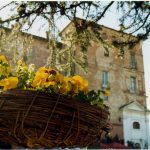 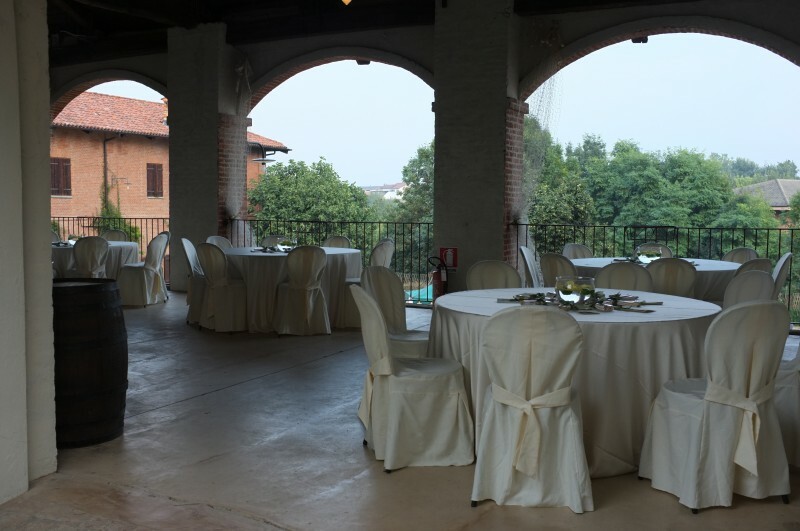 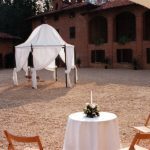 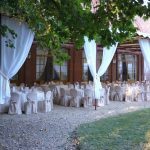 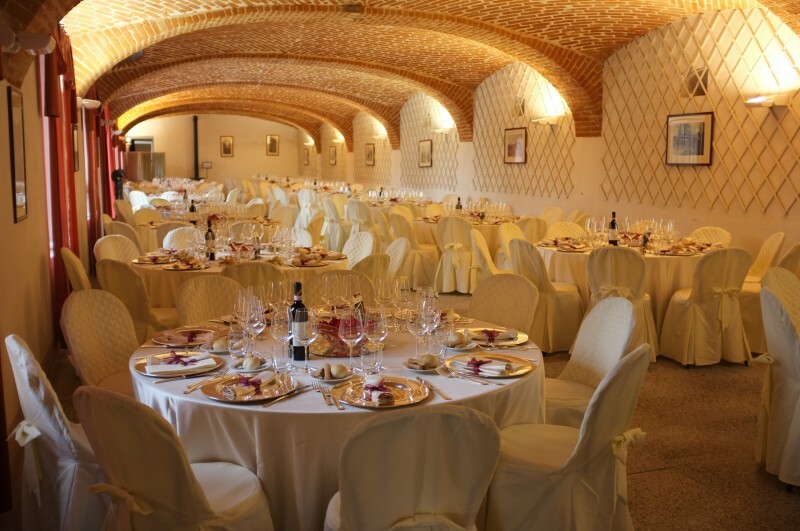 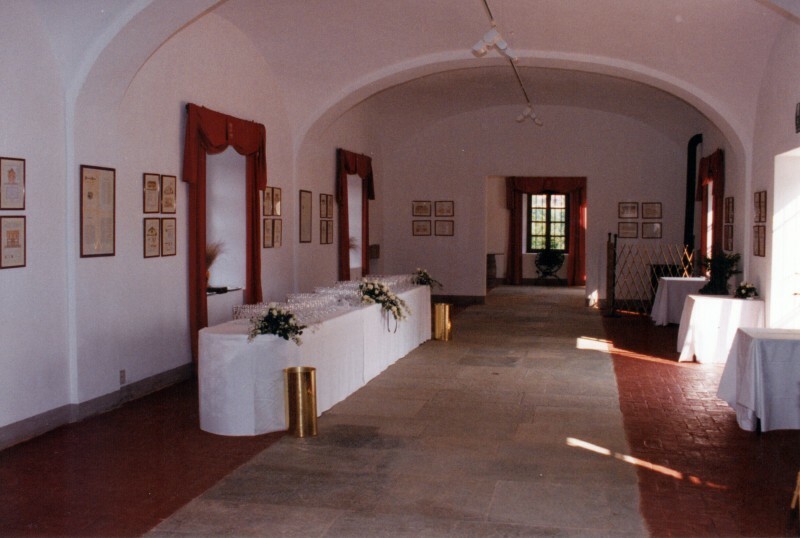 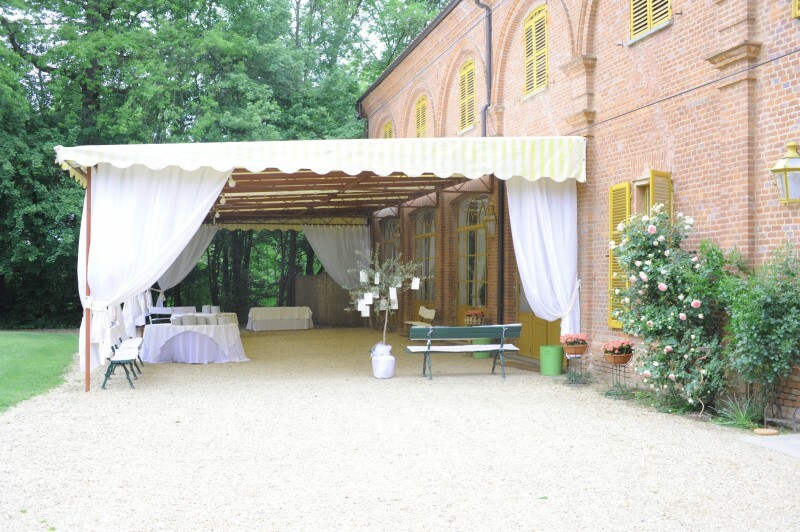 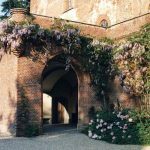 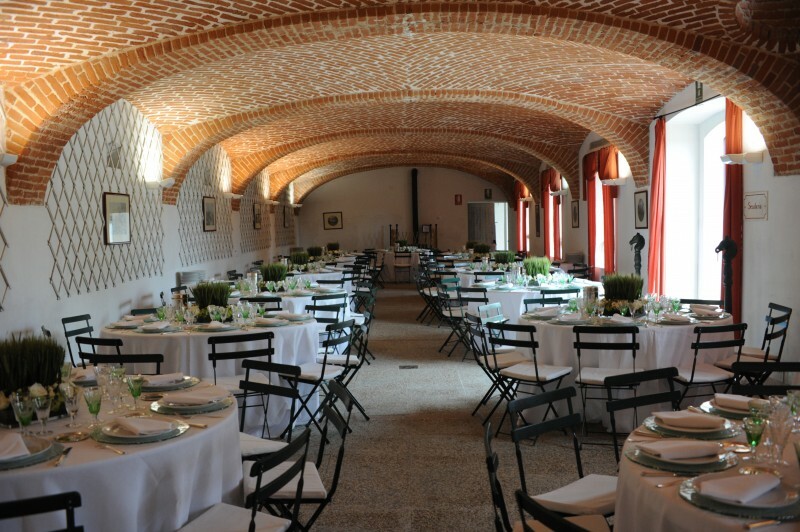 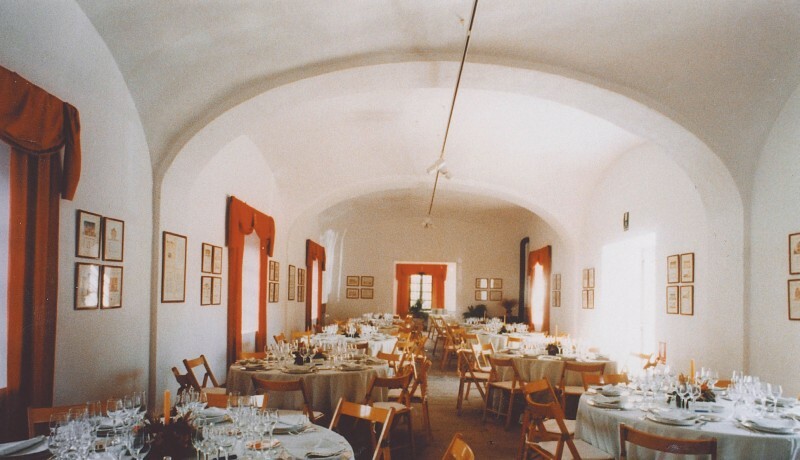 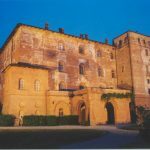 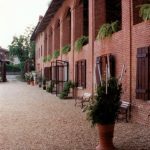 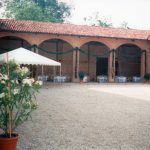 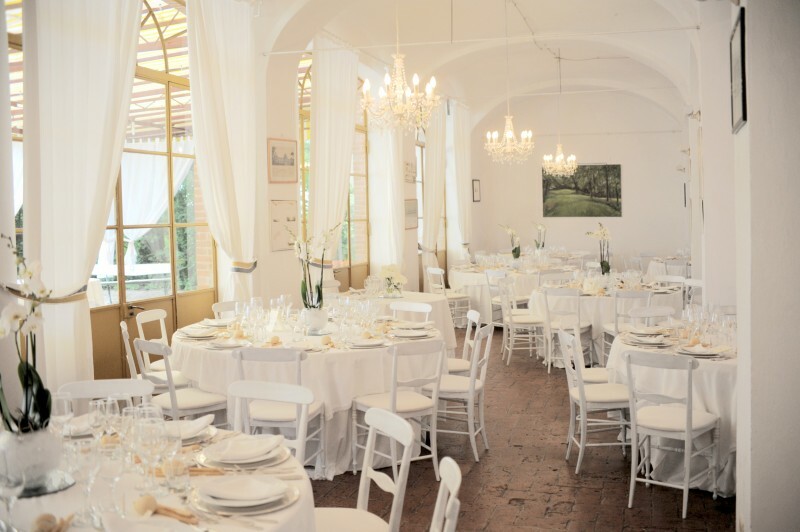 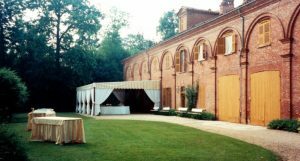 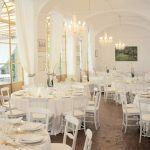 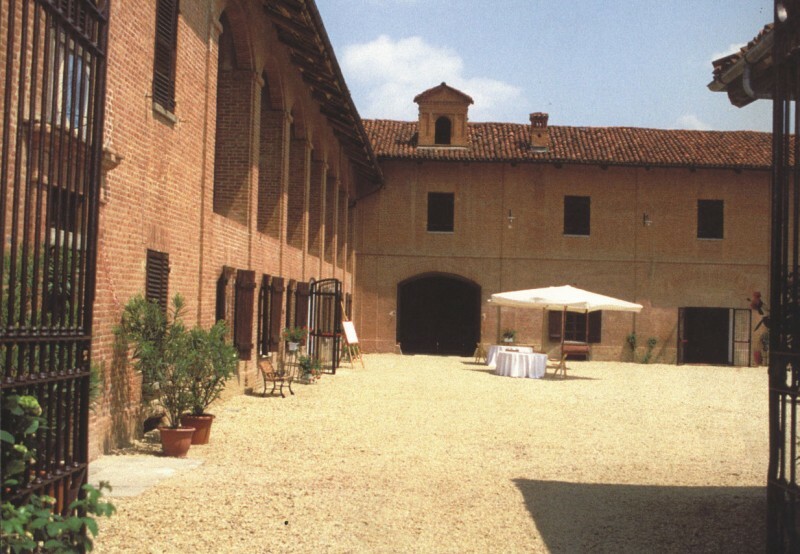 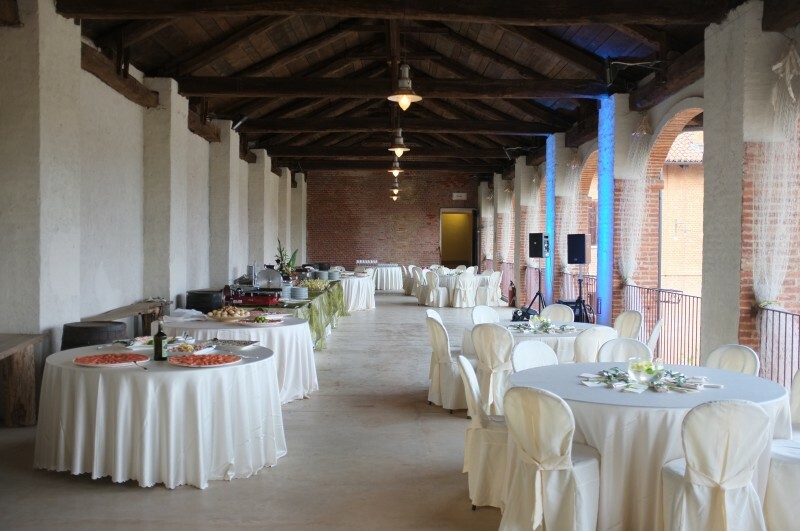 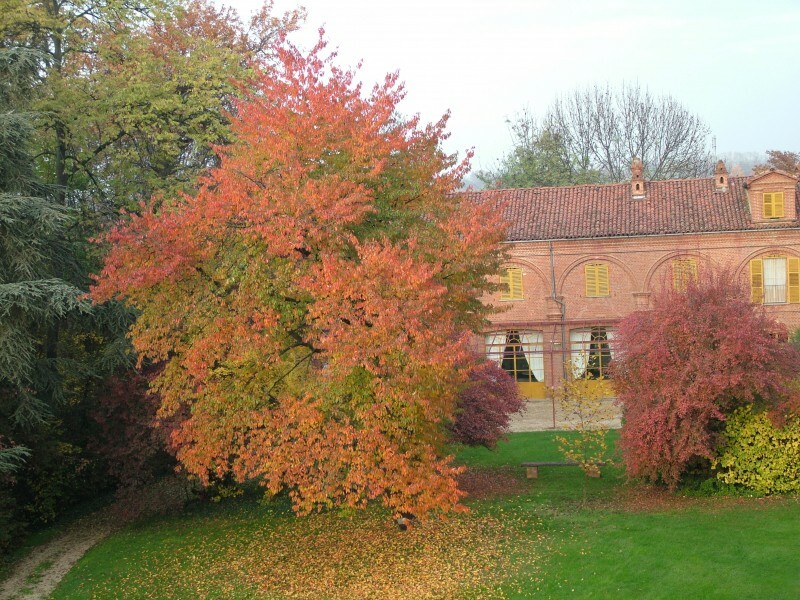 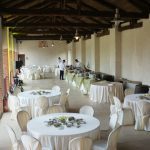 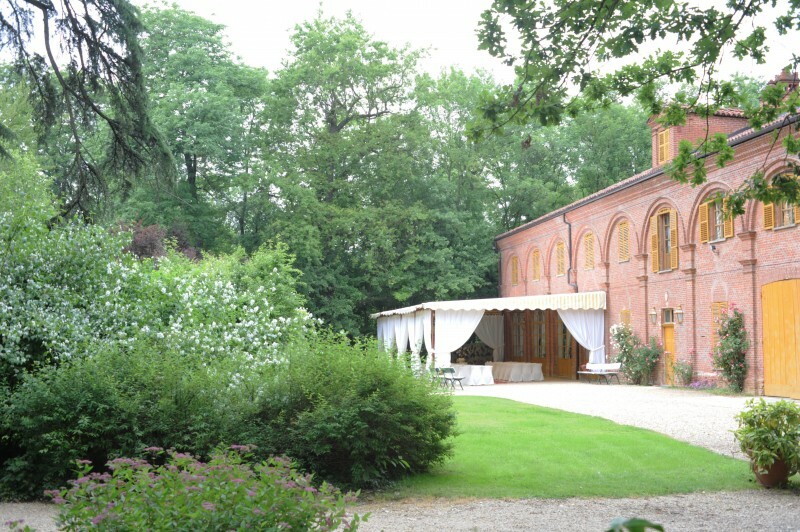 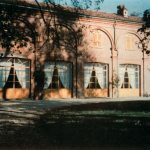 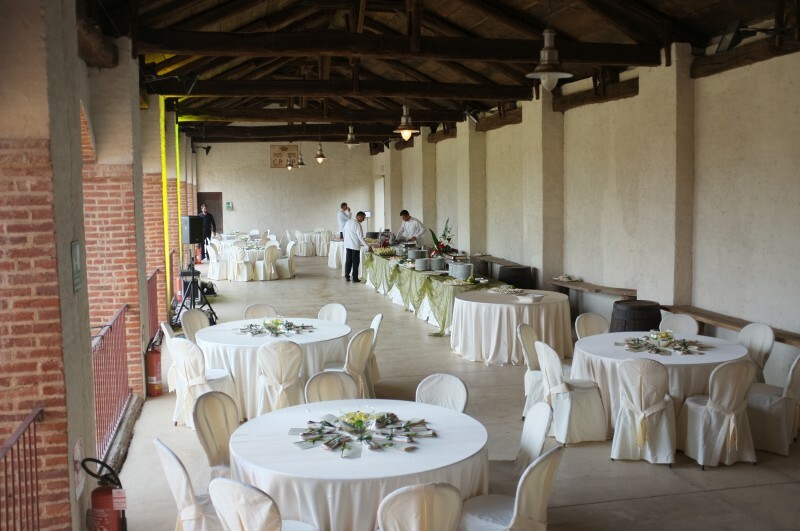 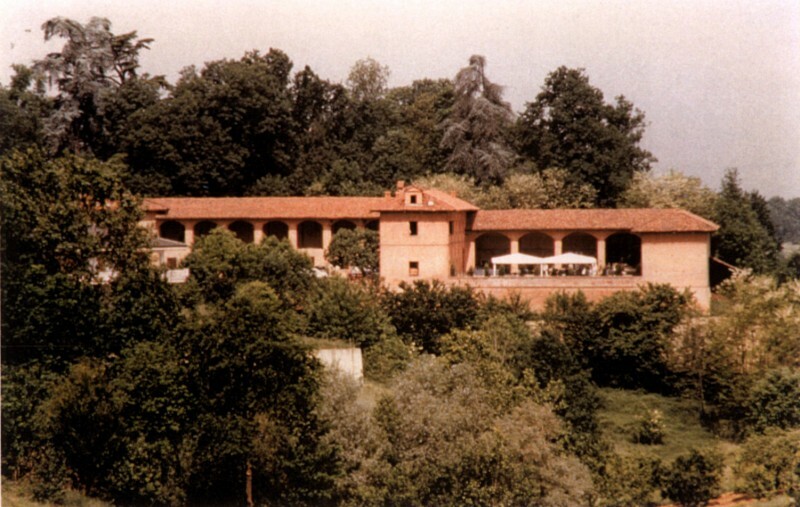 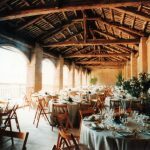 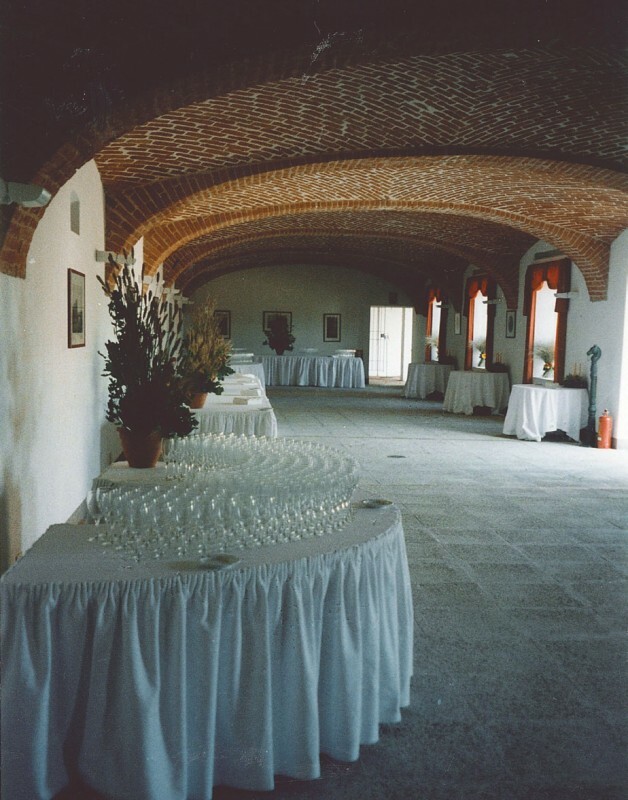 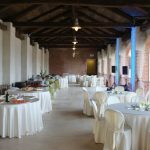 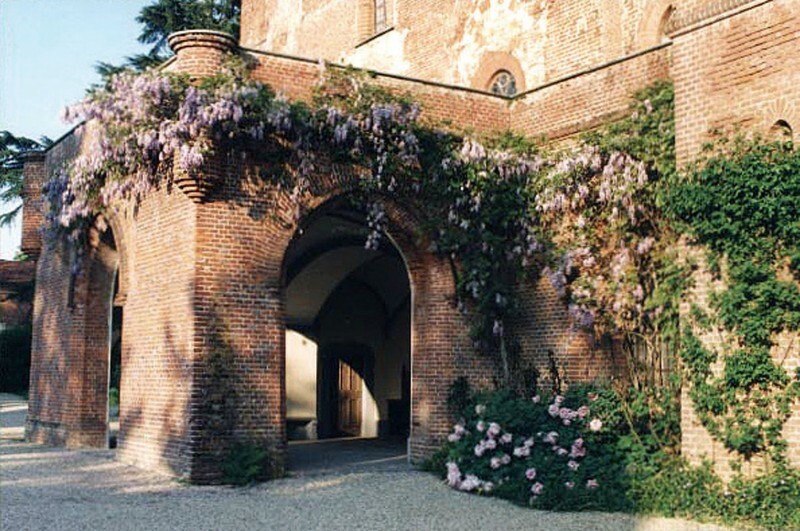 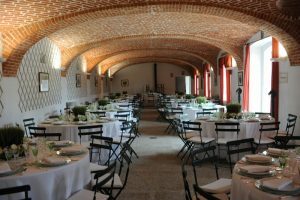 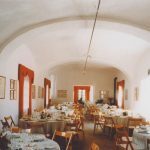 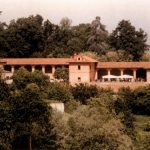 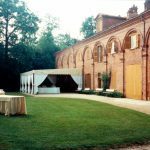 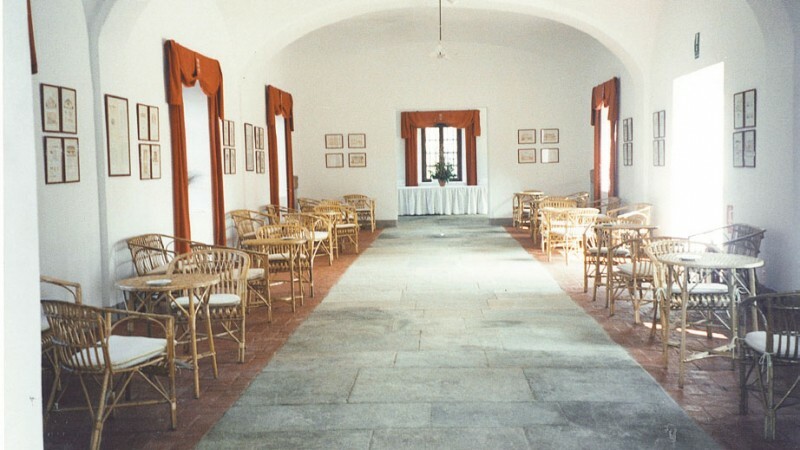 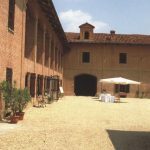 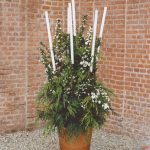 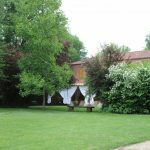 The farm house La Castellana with a big stables with arch made of brick, the tinaggio suitable for the aperitif and for the dance, the loggia for a spectacular reception. 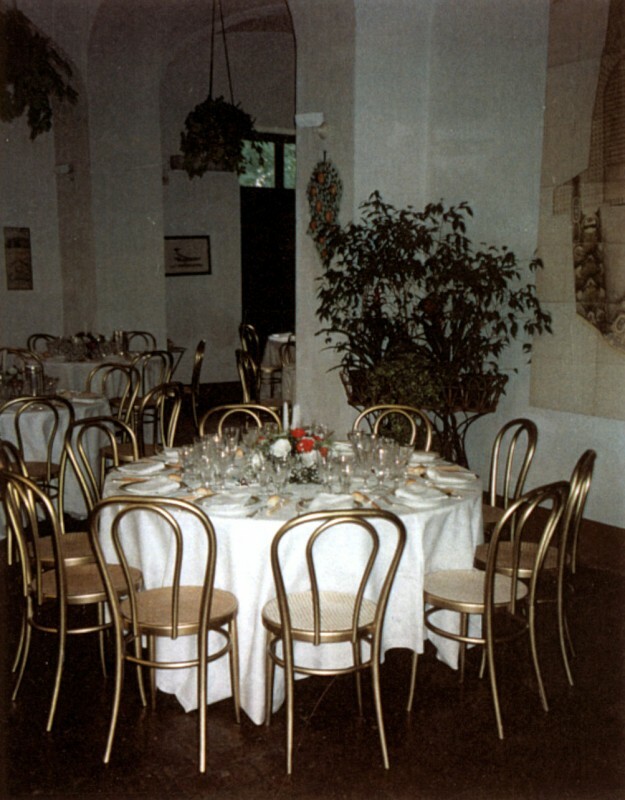 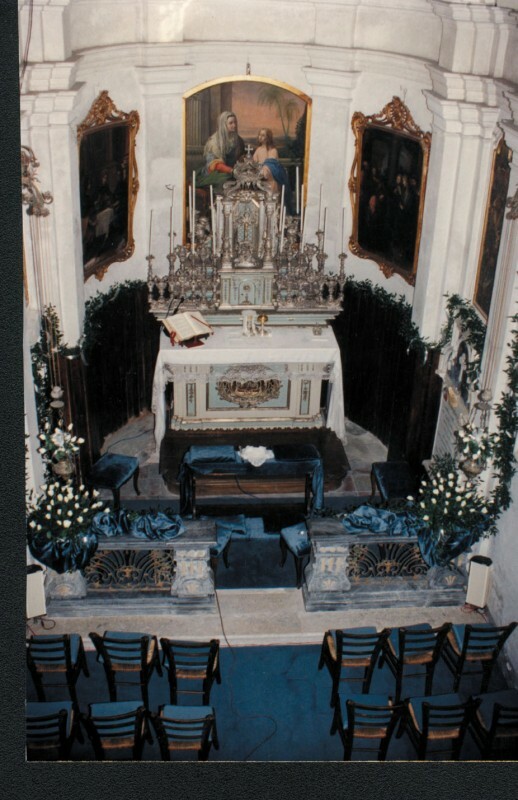 – The stable :200 people seated , salon with heating. 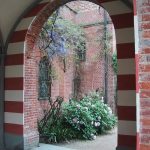 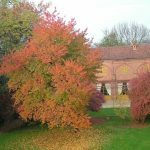 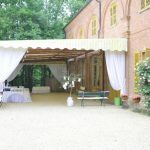 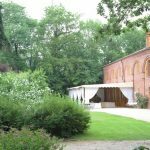 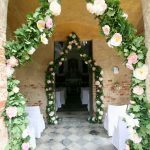 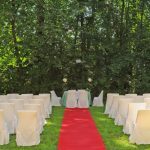 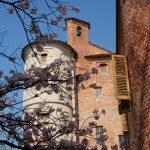 – Ancient barn with the loggia : 200 people seated , leans out on the great romantic English park that can be used for the photo shoot. The park with the secular plant and the romantic views can be used for the photo shoot. 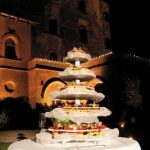 During the reception the castle is illuminated all the time. 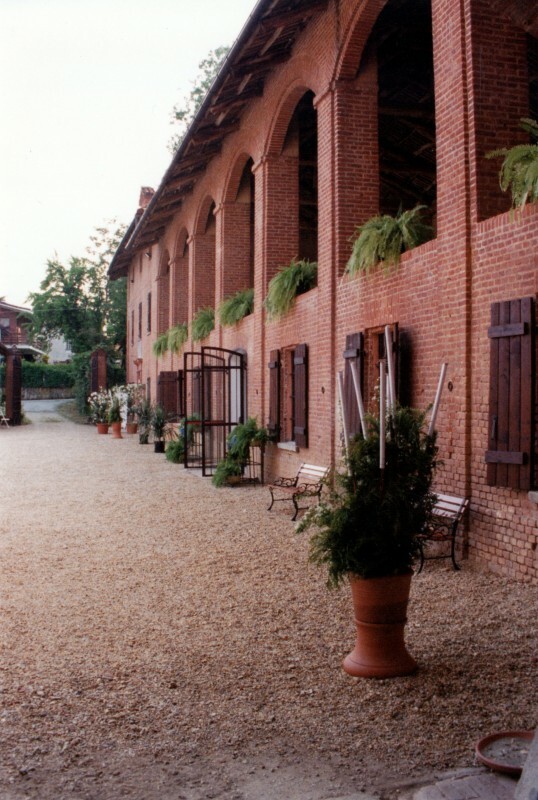 Outside the castle a private parking lot keep the guest’s cars. 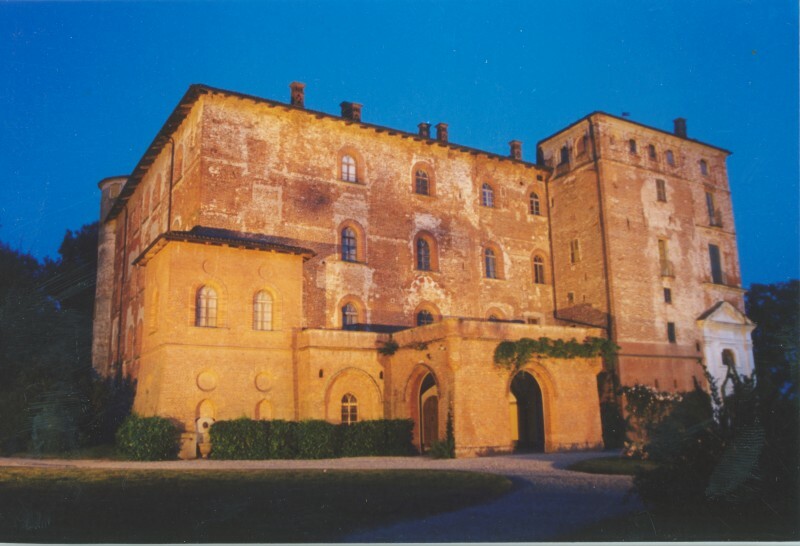 The Castle of Pralormo accepts only one ceremony a day. 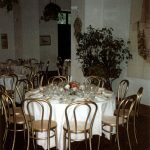 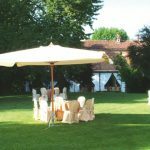 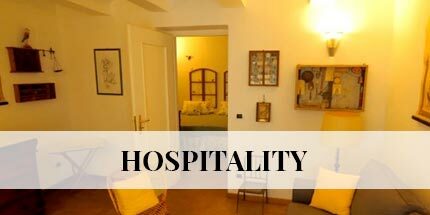 The client can rent one of the two described structures or both of them (for example the Orangerie for the aperitif and the Castellana for the lunch). 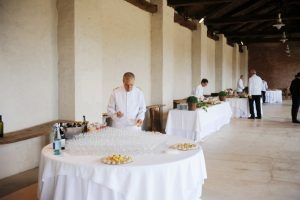 A list of the firms admitted for the catering will be given to the client at the moment of the first meeting. 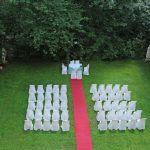 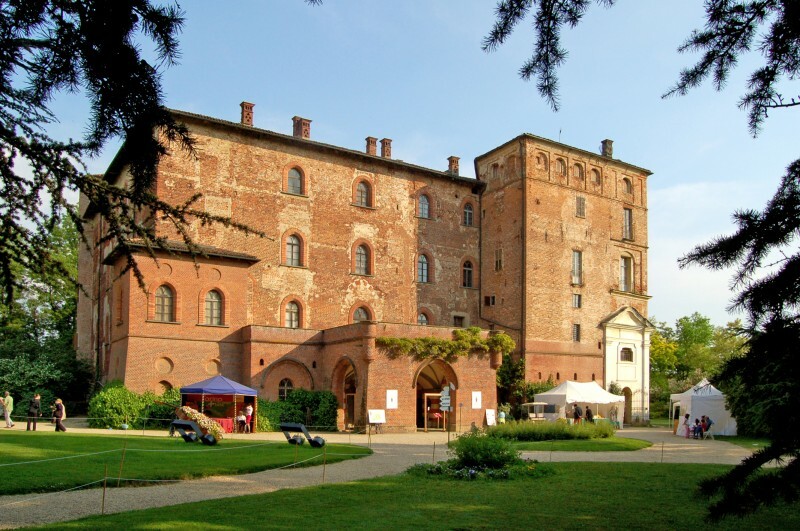 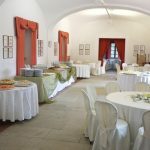 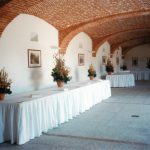 For convention and reception the castle doesn’t have technological equipments :the client could provide directly or ask to our organization for an estimate with our usual supplier. 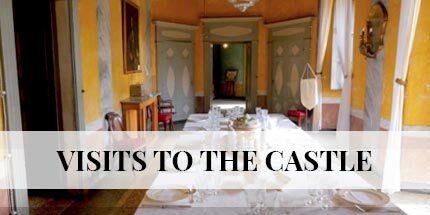 It should also be mentioned that in occasion of meeting can be proposed to the participants the occasion to make a guided tour inside the castle . 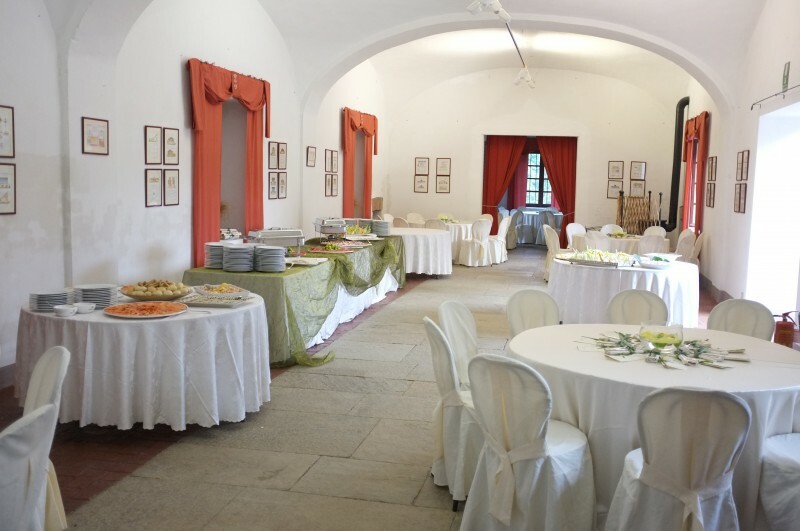 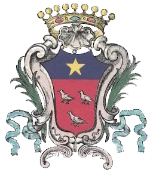 Furthermore, in some specific case, it should be possible the personally welcome of The Counts of Pralormo and luncheons (up to 80 people) in salon of honor of the castle. 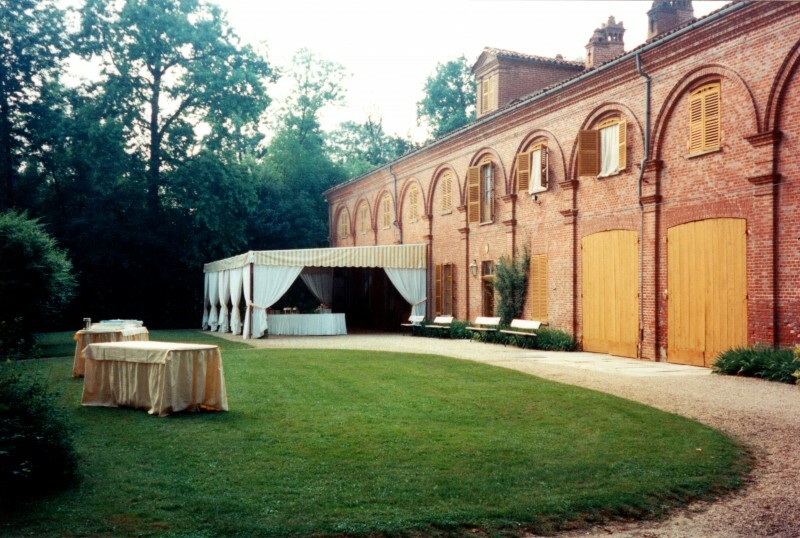 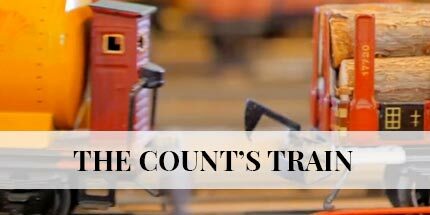 This opportunity is appraised case by case by case from the ownership.